By 2017-2018, the idea of civilizational development will dominate the Russian mentality, argues Zinoviev Club member Vladimir Lepekhin. Vladimir Lepekhin — The formation of Russia's new national idea was catalyzed by the situation in Ukraine and that country's division along civilizational rather than ethnic lines. This idea was sought for a quarter century in two currents that ran in opposite directions and never intersected — a pro-Western liberal ideology and a post-Soviet, post-imperialist ideology. The late 2000s exposed the futility and depravity of the pro-Western liberal idea, causing Russian elites to begin to drift spontaneously toward newer, more relevant ideas, despite the desire of the new political class to maintain the status quo. Now that the West has launched its operation to plunge Ukraine into chaos , the bankruptcy of the concepts of super-open societies, Greater Europe, etc., which derive from the liberal doctrine, is becoming increasingly evident not only to intellectuals but to even the most mediocre of students. The president's turn to patriotic conservatism prompted Russian politicians on the right and the left to get involved in anti-liberal activities. The Izborsk Club was founded with the support of the Kremlin to advance the idea of the Fifth Empire. There was increased activity by proponents of a strong state, neocons, pochvenniks, extreme reactionaries pining for the Golden Horde, monarchists, Black Hundreds, Russophiles and Europhobes of every stripe. The signal came down from the top to form organizations like the National Liberation Movement and the Essence of Time in order to unite pro-government patriots against all things pro-Western. Meanwhile, developments in Ukraine showed the imperialist idea to be both anachronistic and extremely irritating to the public not only in the newly independent states of the former Soviet Union, but in Russia's autonomous republics and our cosmopolitan megalopolises — Moscow, St. Petersburg and Kazan. Some anti-liberal concepts are completely marginal and unable to offer a reliable, system-wide alternative to the persistent decline in economic growth. The civilization trend was seized on by Patriarch Kirill of Moscow and All Russia. Addressing the 17th World Russian People's Council on October 31, 2013, he said: "Russia is a nation-civilization with its own set of values, social development patterns, model of state and society, and historical and spiritual coordinates." The civilizational idea took root as a foundational tenet of the new ideology of the Russian World after Crimea rejoined Russia and the self-defense forces were formed in Ukraine's southeast. Thus, a new political discourse revolving around the concept of "civilization" emerged in Russia in spring 2014.
c) the territory of Russia and its allies whose citizens share the values and civilizational objectives of Russia and the Russians, and want to speak Russian and take part in Russian culture. Not only the name and object of the new national ideology, but also its content has been defined — the civilizational development of Russia and the Russian World. Civilizational — not national, imperialist or post-Soviet — development (not reform, revolution, pro-Western transformation, etc.) is destined to become the goal of the Russian leadership's domestic and foreign policy. A civilizational developmental paradigm implies the organic conversion of political ideas acceptable to a majority of Russian citizens into a unifying, truly national ideology. It removes society from the state of anomie (according to sociologist Emile Durkheim) by centering this ideology not around power but around the human factor and an extended system of values and imperatives that differ Russian civilization (in the ethnic and geographic sense) from other trans-regional civilizations and endow all processes in this country, without exception, with the sought-after meaning. 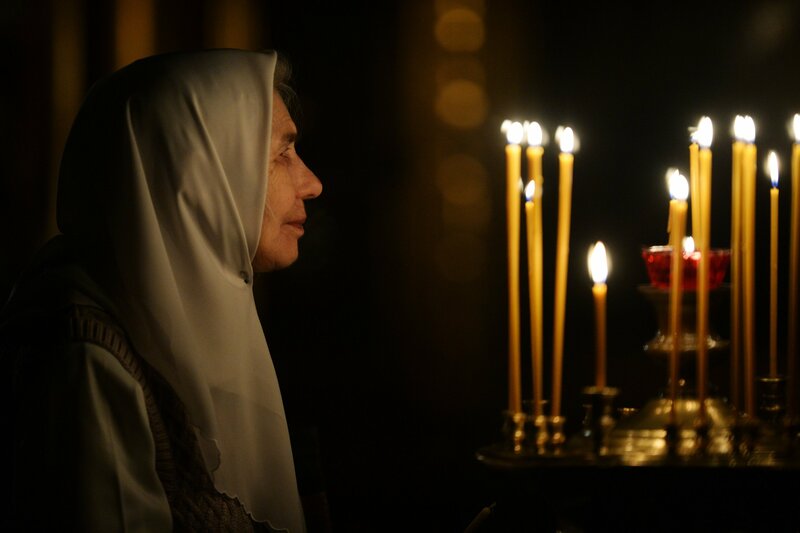 Russia's new civilizational ideology rests on the social, cultural and other experience of Rus/Russia, with its emphasis on sublime spirituality as the priority and scorn for Mammon. True, this experience is saturated with mythology and largely boils down to an unrealistic textual game and spirituality. However, Russia does have practical experience with spiritual and moral prioritizing. It is the result of the peasant creativity intrinsic to the Russian super-ethnos, which is antithetical to the states and ethnic entities with profit as the top priority. They derive such profit from financial transactions and trade, including human trafficking, and the resulting capitalist mode of production with its utilitarian, consumerist attitude to man and the environment. We expect the idea of the Russian World's civilizational development to become by 2017-2018 the dominant idea of our country, forming the foundation of a new worldview. After several decades of futile interpretations of alien discourses imposed on Russia in the early 20th century, this worldview will be enriched by lively discussions, innovative approaches, fruitful applied research, deep analysis, and informed predictions of the Russian and Eurasian future. V.A. Lepekhin. Soglasheniye ob assotsiatsii s ES kak prinuzhdeniye k khaosu. Prelyudiya k Bolshoi evraziyskoi voine (The Association Agreement with the EU as the Enforcement of Chaos: Prelude to the Great Eurasian War). In: Odnako, July 16, 2014. See:V.A.Lepekhin, V.Y.Belsky et al. Tsivilizatsiya aktivov (The Civilization of Assets). — Nauka Publishers, Moscow, 2012. See also: V.A.Lepekhin, V.Y.Belsky et al. Ot Novoi Rossii k Evraziyskoi tsivilizatsii (From New Russia to the Eurasian Civilization). — Nauka Publishers, Moscow, 2012.